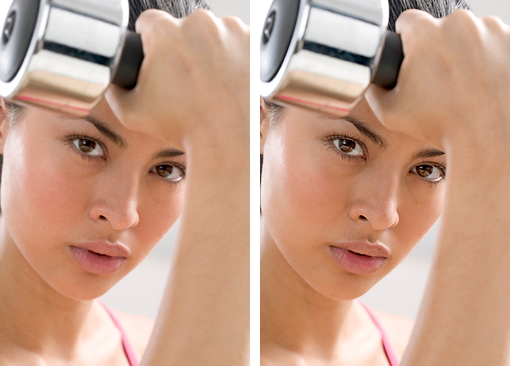 Our technology enables, for instance, publishers to automatically enhance image assets. This enhancement is based on a thorough picture analysis. Furthermore, we offer automation solutions for image workflows in companies. Our image asset management solutions ensure that organising the onerous daily flow of images is a relatively easy task. ELPICAL was founded in 1997 following a management buy-out of the Electronic Imaging department of Victor Hasselblad AB. Since that time, ELPICAL has become a leading specialist in the field of digital imaging. Many renowned publishers of magazines and newspapers know ELPICAL as a reliable partner offering sophisticated solutions and reliable support. Since the use of digital images is expanding at a fast pace, ELPICAL increasingly targets other markets as well. The possibility of enhancing images contained in PDF files offers unique possibilities to many service providers. Our technological assets are in the field of imaging. We will continue to focus on further developing these technologies and helping our customers to improve their workflow and output image quality. Our specialist knowledge ensures that we are a reliable partner for independent software vendors, solution providers and system integrators who need imaging functionality in their solutions. Elpical Claro provides a complete image processing workflow for printers, publishers and online communication companies that require fast processing of high volumes of images while achieving cost reduction and improved quality. The new Claro Settings Assistant offers an easy-to-use desktop environment for creating, modifying and personalizing settings. 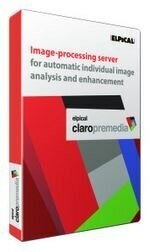 Claro is easily integrated in nearly any editorial or production automation system. Claro 9 offers load-balancing and failover features to customers who ideally rely on multiple Claro servers in a centralized production environment setup. They now can get the reliability they need with multiple Claro servers operating in cluster mode. 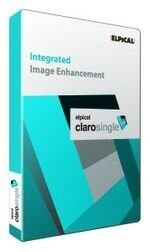 Claro 9 features impressive improvements in Claro’s already highly praised Individual Image Analysis technology. The results are lively faces, vivid skin tones and better overall contrast, combined with even better shadow detail. Large publishers with numerous publications, often requiring highly publication-specific channel settings, now have the opportunity to manage and organize their channels better by working with channel groups. 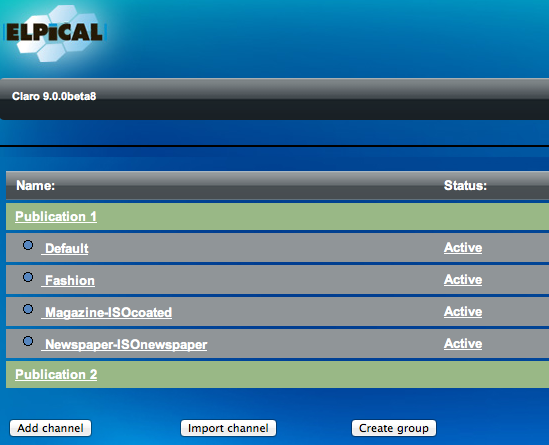 A group of different channels can be collapsed for a better overview of the channels just by clicking the green bar. All channels in a given group can easily be exported or imported.